How Much Do Wedding Photographers Charge? On average, couples in the United States pay 10-15% of their total budget on a wedding photographer. Sound like a lot? It is. But hiring the best wedding photographer for you can be one of the most important decisions you’ll make during the wedding planning process. While 10-15% of your total budget is a reasonable target, there are ways you can come in well under that. 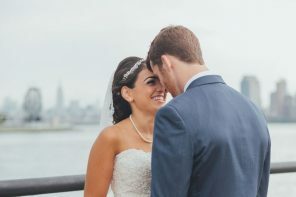 By knowing a few key questions to ask along with general price ranges and cost-saving measures (outlined below) you can still get your dream wedding photographer without breaking the bank. 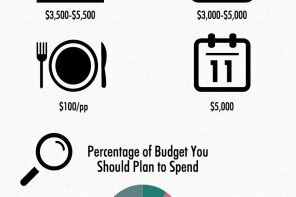 According to Snapknot.com, the average cost for a wedding photographer is $2,814. However, in cities such as San Francisco and New York, wedding photography prices are closer to $4,000. You can generally expect wedding photography prices to range from $2,500-$10,000 depending on the photographers experience and/or offerings. Expect the top photographers (IE: the Jose Villa’s of the world) to start at around $6-7,000 and go up from there. The typical wedding photography package usually offers coverage for 8 hours. Adding more or less time will increase or decrease that price. Engagement sessions can sometimes be included or run extra. For example, I’ve seen engagement sessions run anywhere between $300-$1,200 depending on how many hours the shoot is. Another consideration when it comes to your wedding photography cost is whether or not you want a wedding album included in your package. I’ve seen experienced photographers charge anywhere between $1,000-$3,000 for a wedding album, and will sometimes offer a further discount depending on the amount of wedding coverage you buy. Alternatively, for a wedding photo album design service from an outside company [other than the less expensive kind you can do yourself using a service like Blurb], prices tend to start around $500 and can go well over $1,000 depending on the number of pages/images you want. 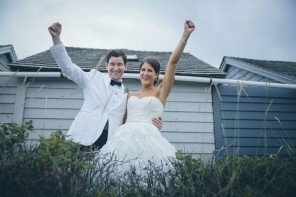 Keep in mind that when you pay your wedding photographer to put together an album, you’re also paying for their expertise in putting together your “wedding story,” which they were there the entire time for. You just have to decide how much that is worth to you, or if you would rather do that on your own to save money. (More on those money-saving tips, below). The average cost for a wedding photographer is 10-15% of a couple’s total budget, which is currently around $2800 for the average US couple. 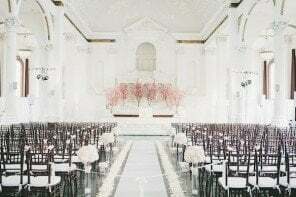 You can expect your wedding photographer cost to run you anywhere between $2,500-$10,000 depending on the experience of your photographer along with what they’re including in your wedding package. Wedding photography packages will typically cover 8 hours, on average. More or less shooting time will influence your cost. It’s important to ask a prospective wedding photographer how much extra they are charging for a wedding album if they’ve bundled the cost into their package price. 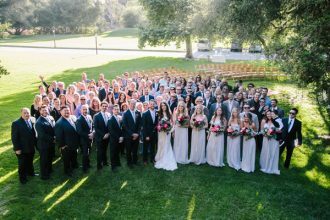 I know $2,500-$10,000 is a huge range, but at least it can give you somewhat of an idea of what to expect when looking for and meeting wedding photographers. Also, as mentioned above always keep in mind that where you live can greatly influence your wedding photography prices. You might find that you’re able to find a great photographer for under $1,000 in your area, in which case you need to stop reading and do a little dance of joy immediately, please! Be wary of wedding photographers who keep trying to upsell you. Decide what kind of package you want from the get-go and stick with it. Good wedding photographers will be very upfront with what they are charging you. Read this feature about how some wedding photographers can get you to spend more (something I wrote before my wedding after running across a disturbing article!). 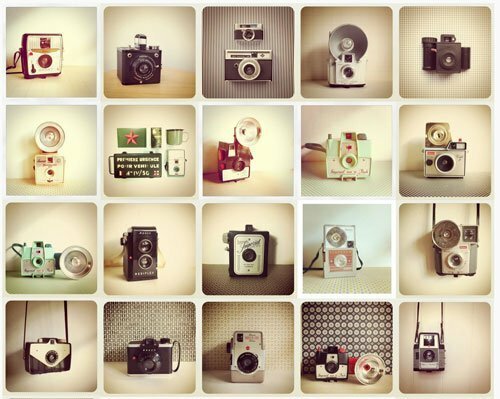 Same goes for additional items such as an engagement session and/or wedding album or wedding photo prints. 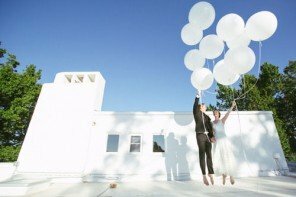 Leaving out one or all of those items from your package (if your wedding photographer offers those) could end up saving you thousands of dollars. See if you can get your wedding photography a la carte vs. as part of a package. Don’t be afraid to negotiate. If you find a photographer you love but they are out of your budget, ask what they might be able to offer that’s more in your price range. Also, if you’re getting married on an off-day (weekday or Sunday), see if they offer any discounts. Having a second shooter can increase your cost. If your wedding photographer is not part of a team (and some are), see how much of a discount they can offer for one shooter vs. two. Just be sure that they feel comfortable shooting alone and have in the past (and ask if they can show you pictures from those weddings). Go local! If you hire a wedding photographer that lives out of town, you will most likely have to pay for all their travel costs (airfare, meals, hotels, etc.). I really wanted a certain photographer for our wedding, but after finding out how much transportation/lodging alone would have cost us, we decided otherwise (and I’m so happy we did!). While finding a wedding photographer that fits your budget is important, keep in mind that it’s equally as important (if not more so) to find a wedding photographer that is right for you and has the portfolio to prove it. Be sure to look at images from past weddings they’ve shot, and don’t be afraid to ask for recommendations (especially if they’re not as well known in the wedding world). Also, keep in mind there’s nothing wrong with going with a less experienced wedding photographer. As long as you love their vision and work (and you can see concrete examples of it), they could be the perfect wedding photographer for you! Looking for more prices? Check out our articles on Wedding Flowers Cost and Wedding Cake Cost. Wedding photography is one of those things in which you get what you pay for. It is understandable to come up with a budget conscious wedding day plan. The cost of a wedding day can add up quickly. But wedding photography is one area in which a couple should strongly consider investing in. The pictures from your wedding day cannot be “redone” and it is those pictures that will last you your lifetime. How much do Wedding Videographers charge for the average 8 hours? Great article, very informative, thank you. Great article with statistics to back it up. With the advent of “super low budget photography” sometimes people have unrealistic expectations about what a real professional photographer costs and the real value you get when hiring someone that will deliver real artistic and technical expertise. 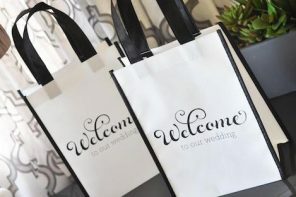 Thank you so much for addressing this aspect of wedding planning. In an inherently subjective medium such as photography, it’s often difficult to have objective conversations that lead to definitive conclusions about what is ‘right and wrong.’ One thing that surely stands out as a means of helping to solidify a decision about whom to hire, is professionalism. What attributes does a photographer exude right off the bat that suggest that he/she knows what the heck they are doing? Web presence is first and foremost, and by virtue of this aspect in the digital age, in my experience simplicity sells – no b.s., and avoid complicated ‘package’ deals. After that, it’s all about the conversational exchange that follows, whether it be through email, text, or phone. In that first critical exchange, professionalism and a sense of personality that is hopefully one that a client wants will shine. As for the technical in’s and out’s of business eluded to in prior comments, I think it’s critically important to mention here, CODB, in a nuanced manner: A photographer’s price tag will ultimately express devotion to the craft that realistically reflects cost of doing business. If I charged $500 (arbitrarily) for a wedding, I’m either inexperienced/student, or lowballing the market because I’m a hobbyist. Make no mistake about it – there is no gray area. It costs a lot to keep a photography business going, before paying one’s self. If a photographer’s price tag seems really high, it’s important to look closely at what’s being offered in terms of the final product. Does the evidence of prior work accurately reflect that cost? Is that particular look that costs so much, something you want? Finally, three aspects I didn’t see mentioned are, 1) licensing/business organizational structure (if any), 2) insurance, 3) contract. I run my business as an LLC to separate the finances/liability from my personal finances and assets. Simply advertising through web presence (I think) suggests to potential clients business acumen. As for insurance, while I don’t advertise this, it’s important to ask and is often overlooked. A lot of things can go wrong on a shoot, are you protected in the event that a ‘what if’ should occur? Does that protection extend to your client? All of this should be spelled out, simply and accurately in an easy to read contract. I know … contracts can be this 800lb gorilla in the room. But, through simple online research, professional memberships to organizations such as ASMP/WPPA, etc … and a quick consult with a lawyer, a contract can be really helpful in providing a tangible explanation of reasonable expectations for all. Great Article! As Cleveland wedding photographers we often get asked about price – “How low can you go”. Interestingly, though, as Colorado Wedding Photographers price comes up, but the expect cost is significantly different. Interesting, still, is that people expect our destination wedding photography packages to cost significantly more! All we do is add the cost of airfare and a hotel to our packages, and we’re all yours! Being armed with information about the cost of wedding expenses can be very powerful! Especially when it comes to your wedding photography! How does one negoiate with photographer about shut eyes, overexposure, blurred images and not having any shots of parents, by themselves? Excellent advice, Lindsay! The decision to choose “the right wedding photographer” becomes increasingly more difficult for people who have a shoestring budget. The problem is further compounded when you don’t have any technical knowledge of photography. Plus, a lot of people don’t really have much idea on how to research the industry before finalizing a photographer for their wedding. Those can afford it tend to hire the best in the industry regardless of their cost. Wonderful advice and a great read. As a wedding photographer, I have one more suggestion for choosing a wedding photographer. Personality! Take a moment and think about how much time you will be spending with your photographer on the wedding day. For an 8 hour package, the photographer will be with or near you for 6 hours easily. Now imagine what that will be like if their personality doesn’t match yours. Take it a step further and consider all the pre-planning conversations and post wedding delivery of images. Do you really spend all that time and money with someone you don’t enjoy being around? Also, if you and the photographer hit it off, they will likely go above and beyond for you. Hi Linda! Great point. Which is why all couples should make sure to negotiate the photo rights in their contract. keep in mind SOME photographers retain “rights” to their photos..which means you CAN NOT just go & “reprint” his photos for “your” album. I hate when couples try to ask for less time than my bottom package, it may be less time but I could have booked someone else for the same day for more hours. My bottom package is what I need to break even on equipment, goods, travel, babysitters, etc. I would recommend asking an amateur if you can’t afford the photographer’s lowest package. If I worked at Costco, I would make about $38K a year. All I would have to do is show up to my job, do my job, and get paid at the end of the week. That is at least $700 a week. I would not have to buy cameras or computers to to my job. Costco does. I would not have to buy insurance to protect myself from on the job injuries, to myself or the customers, Costco does. I would not have to buy a truck or van to make deliveries, Costco does. I would not have to pay rent for the location, Costco does. I would not have to pay for ads, printing flyers, website maintenace, social media campaigns, Costco does. Let’s say I decide to be a wedding photographer and charge $3800 per wedding. You’d think that I’d only have to shoot 10 weddings a year to make what I would be making at Costco. Right? Only work 10 days a year, right? Wrong! I would have to shoot at least 40 weddings a year to make what I make at Costco. Believe it or not, each wedding is about a week of labor for us, it’s not just showing up on your day. Anyone who runs a business knows this. The customer does not see all the expenses behind the scenes. You have to love weddings to shoot weddings. It’s a lot of work and very expensive to run a photography business. Believe me, you’d make more money working at Costco than shooting weddings. Its not as glamorous, but you will have health care coverage, a steady paycheck, and a lot more money in the bank when you decide to retire. It makes no sense to invest in a dream photographer and get a subpar consumer grade album. People hire me for my unique style and to tell a story, let me finish telling it, with my album. This isn’t where you skimp if photography is any kind of priority. All photographers are a rip off. How does anyone feel comfortable paying thousands of dollars for photos that you may look at 3-4x during your life? What a great job though, minimal qualifications to make thousands per day!! Got to love It!! Professional Photographers should charge the going rate that market will support. If you are not a professional and it’s your first… it should probably be free to get established and build a portfolio and then incrementally raised your prices! Many people got their start this way. Excellent article. So many brides struggle to find wedding photographer who can produce quality images and also not to cost arm and a leg. You nailed the important points to look for when selecting a photographer. I think having a budget and be able to stick to it is a key. So many brides are overspending on other items as venue, food and drinks and when they have to book the most important person for their wedding, someone who will capture their memories and moments, they try to cut corners. The ways to save some photography cost is not as you mentioned necessarily getting low quality vendor. 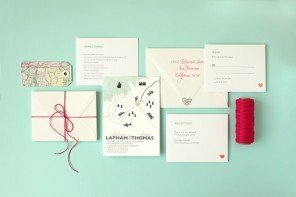 It’s all about sizing the wedding package and picking the items that matters the most. Like a wedding photographer myself, I cannot agree more with the points. Hope more brides would read and get educated on the topic. I am a photographer in Hawaii. We have a lot of destination wedding here on the the Big Island and many of our weddings are very small beach weddings. We offer wedding photography by the hour starting at one hour packages and specialize in destination weddings with very fast turn around times to make sure the couples can see all their photos before they leave the islands. In addition to that we offer online viewing and ordering to accommodate our couples and families. Hi! Thanks so much for writing in. I totally think $2,800 is a great deal and you should feel good about it! Also the fact that she is covering her expenses is AMAZING. Way to go!!! We’re spending $2,800 on our photographer, which I’m totally comfortable with. I saw some of her work on my favorite blog, Sometimes Sweet. The photographer listed some special packages and prices on the site, so I snatched her up for our wedding. She’s covering all of her travel/lodging expenses (which is amazing, since she’s flying across the country for us) and giving us an extra hour of her time. If we hadn’t chose her, we absolutely would have gone with someone local. I’m in New York and there are some incredible photographers in the Hudson Valley area. Thank you for these resources. Even though I have this one thing checked off my list, it’s still so helpful to see all of this information laid out.